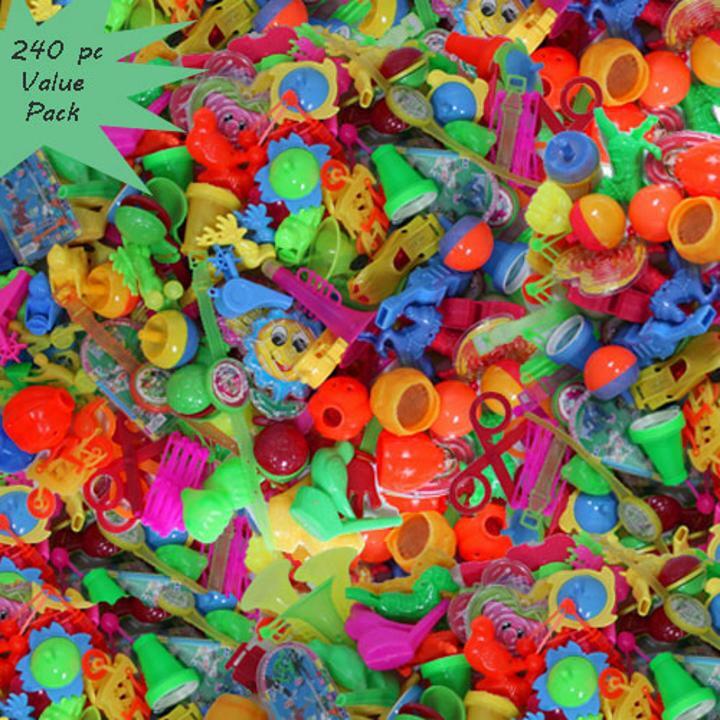 This Package includes 240 party novelties. Our assorted package comes with 2 packages of 20 different party novelties. We have different kinds of whistles, tops, mazes, cars, kaleidoscopes and more! Great way to add some fun to your party! L: 9.0 in. W: 13.0 in. H: 9.0 in.